Soneva Fushi, the multi award-winning luxury resort in the Maldives, has recently joined hands with LightBlue Environmental Consulting to implement a food waste audit, to understand and address the problem of food wastage that affects the entire hospitality industry and to reinforce its position as global leader in sustainability. 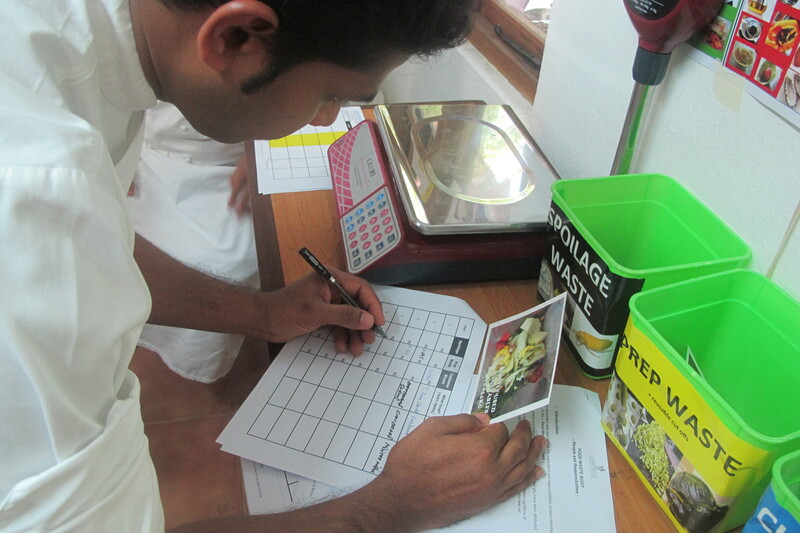 A detailed Food Waste Monitoring System was implemented by LightBlue across the Soneva Fushi operations for seven days, and included hands-on training as well as raising awareness among kitchen employees, stewards and service staff. Employees sorted, weighed, defined and recorded waste for every shift (breakfast, lunch and dinner) to establish a food waste baseline (grams of food waste per cover) and understand where they could focus their efforts on. The detailed audit helped answer crucial questions related to food waste: How much (in kilogrammes), where (in four categories: spoilage, preparation, buffet and customer plate waste), when, why, and what food is discarded. The assessment also reviewed how much it cost, and how much could be saved through the implementation of strategic recommendations along the food chain, mainly during purchasing, receiving, storage, prep, communication, buffet, and service. “I think part of the benefit of a detailed audit like this is that it increases everyone’s mindfulness about what they are doing with food. This has really helped everybody throughout the food and beverage team and the organisation as a whole just to think about what they are doing,” Gordon Jackson, the Waste to Wealth Manager at Soneva Fushi. “There was quite a dramatic reduction to the organic material being sent to out to composting site. So we are down by about 50 percent already,” Gordon said. 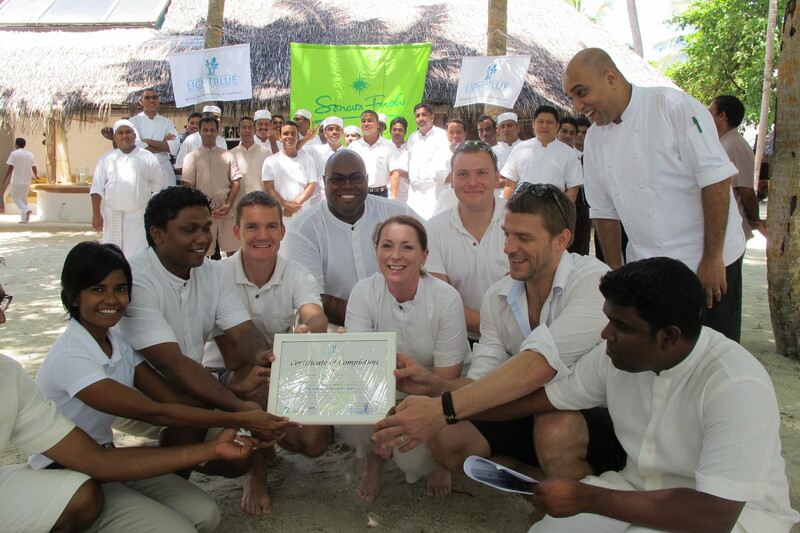 At the end of the comprehensive review, Soneva Fushi received the LightBlue “Certificate of Completion” marking its genuine effort in readdressing a problem that affects the entire hospitality industry. Resort employees who showed true commitment received a personal Food Waste Champions Certificate of Achievement. “It was a genuine pleasure working with the Soneva Fushi team. I’ve never experienced such dedication from employees to understand, implement and address the food waste issue, which was pivotal in the successful implementation of the audit. I feel that this is the result of a genuine commitment from Soneva to integrate sustainability in every aspect of its operation, and it shows once again that sounds environmental practices translate into substantial financial benefits,” said Benjamin Lephilibert, Managing Director of LightBlue Environmental Consulting. Soneva Fushi inspires the imagination with 57 spacious, multi-bedroom luxury beachfront villas that are hidden among dense foliage for ultimate privacy. Intuitive service is provided by Mr./Ms. Friday personal butlers who know what you want before you want it. In 1995, award-winning luxury resort Soneva Fushi set the standard for all desert island barefoot luxury hideaways in the Maldives. It has a pristine Biosphere UNESCO protected reef and is known for its legendary service. Fifty-seven private villas with their own stretch of beach are hidden among dense foliage within touching distance of a pristine coral reef. Intuitive service is provided by Mr./Ms. Friday butlers. Highlights include the open-air Cinema Paradiso, counting Saturn’s rings in the high-tech Observatory, the home-made chocolate and ice cream rooms, five hundred wines to choose from and nine dining options. Light Blue is a Bangkok-based boutique consulting firm offering expert auditing, advising and capacity building services to hotels willing to improve performance and minimize their social and environmental footprint. Based on resources, needs and objectives, our hand-picked specialists deliver tailor-made solutions to cut operational expenses, increase employees’ efficiency and loyalty, as well as to improve the reputation of hotels operating more responsibly. Light Blue’s methodology has been recognised as aligned with the United Nations’ Food Loss and Waste draft standard.